The goal of this book is to offer special encouragement and help to busy mothers who need the nourishment of God’s Word in their demanding lives. 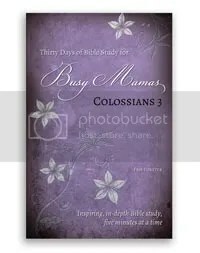 30 Days of Bible Study for Busy Mamas: Colossians 3 will help you slow down and really study the Bible, even if you can only study for a few minutes at a time. Here is a simple but deep approach to Bible study, divided into five-minute portions that will leave you encouraged and excited as you discover that you can study the Bible, even when your house is full of children! So here’s the challenge: Set aside just five to ten minutes a day – even if it’s just one minute at a time – to study the Bible. This book will help! This study started as a series of posts on Pam’s Doorposts of Your House blog, where she discovered other busy mamas who were looking for simple but meaningful Bible study. If you aren’t sure where to start, or if you don’t think you have time for Bible study, this booklet will get you started! You can buy the book (in print or ebook) at Doorposts or on Amazon. You may be thinking – I’ve tried it before and Bible studies that are supposed to be for busy moms, usually aren’t and it’ll be the same way with this one. Put aside your misconceptions because this one study that only takes a few minutes and is truly for busy moms like you and I. In only 93 pages you’ll be taken on a month long journey into Colossians 3 and read more in depth study of Paul’s letter to the church of Colassae (I hope I didn’t spell that wrong) using the inductive study method and online sources to really dig into the meat of one chapter. A month? On one chapter? You’ll probably think that that sounds like a ridiculous amount of time to spend on just one chapter – but that is what makes it so good for busy moms because it takes 5 minutes or less to complete the days work and learn from Scripture. The only items you’ll need are the study book, a Bible in your choice of translation (the study quotes the ESV), something to write on, something to write with and a computer with internet access. If you don’t have have internet access, no worries, just get yourself a concordance and 2 or more Bibles in different translations (my library has a lot of Bibles in different translations). There are optional items to have as well and since they’re optional I’m not going to spend a lot of time on those but they will aid you study greatly if you can access them like colored pencils or pens, a computer print out of Colossians 3 if you don’t want to mark in your Bible and an audio version of the Bible (some are available for free on the internet). Next find a time where you can carve out 5 minutes or 1 minute here and there through out the day, gather your supplies in a basket or at least together (I use a cute small tote bag from my favorite company) and get started. The book is so feminine and beautiful looking inside and out – it makes me want to do the study – so making the time to do it – whether it’s getting up a few minutes early, sneaking a couple minutes while the children are at one of their activities, the book makes it easy. After the study is complete? There are plenty of tips in the back for how to continue an inductive study on your own and more, which makes it great for moms who want to find a way to study and this gives us the confidence to do so on our own and really study His Word as we seek Him. You can enter the giveaway by using the Rafflecopter form or try this link. Eighteen foster homes. Nine arrests. One life-changing moment. After Brendan King’s life spiraled to rock bottom, the teen found hope in a new relationship with Christ while serving time in a juvenile penitentiary. Recently released from prison, Brendan finds solace in the foster home of a couple struggling with suppressed grief. As the city-bred teen enrolls at a suburban high school, he finds support from a group of believers. Yet the bonds of his old way of life—and the gang that wants to know where he hid their stash on a long-ago night—are strong. In his darkest moment, Brendan found faith. Now he must decide if it’s worth the price to hold on to it. King’s Faith stars Emmy Award winning actress Lynn Whitfield (The Women of Brewster Place, Madea’s Family Reunion), Crawford Wilson (Judging Amy, Zoey 101), Kayla Compton (Entourage), and James McDaniel (Malcolm X, NYPD Blue). 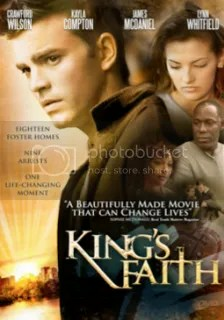 King’s Faith features the themes of courage, forgiveness and overcoming your past highlighted with the important message of youth in foster care. The film prompts audiences to consider many of the questions they struggle with today: How can I stand firm in my faith when life’s challenges put me to the test? Where do I turn when I feel paralyzed by loss and grief? Can I find true forgiveness from my wrong choices? This movie revolves around 18 year old Brendan King who served time in a boy’s reform camp and is trying to get his life on track after giving his life to the Lord at the camp and truly becoming one of the reformed – both inside and out. Of course, as most Christians know, being Christian isn’t easy even though there are those who believe that being a Christian and putting faith in Christ is for the weak who need a crutch – and so Brendan is about to find out as he re-enters the ‘real’ world. While this movie will resonate with those who foster children it will also strike a chord with anyone who has a heart for children – like me, I’d love to foster and/or adopt but it’s not possible at this time but I like to see how it wasn’t just the foster parents who make a difference in Brendan’s life – but everyone he comes in contact with, even the cop who tells Brendan he’s one of the 90% who will be a recidivist back to the system. Brendan struggles as we all do with our faith and how to actively live it – and how to listen to God or to give into our own fleshly desires. In one scene he literally has to make a life or death decision and he has to remember to listen to God or follow what his mortal mind is telling him – God’s vengeance or Brendan’s vengeance. A movie that shows how healing begins and it’s not keeping pain all bottled up inside and how only God can give true healing and peace inside and also help in making the decisions that can either make or break life. Rated PG-13, it deals with a young high school who made a choice to abort a pre-born child and hide it from everyone, gangs, drugs, and some adult situations although there is no ‘adult scenes’ and I’d be totally fine with watching this with my 11 1/2 year old daughter once she’s able to enjoy a movie. Run time is 108 minutes and it’s a well spent hour and a half or so, even if you watch it on your own like I did. Well it’s done. 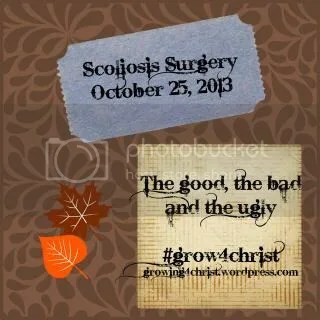 While it may have been a success in straightening her back – it’s been a long road so far in her recovery. 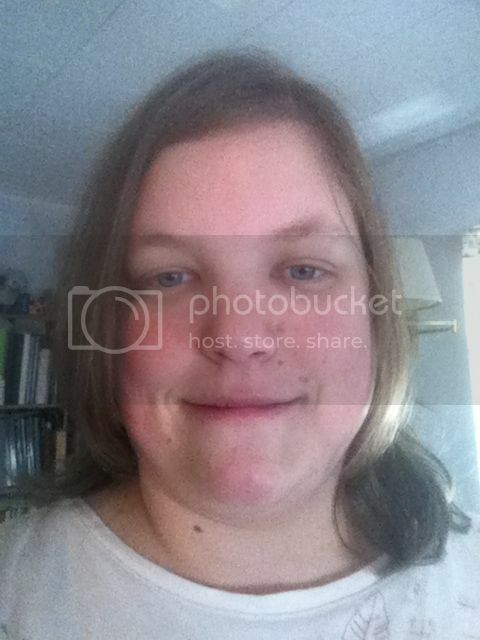 Let me tell you a little story about a girl named Hannah…. If you don’t know the whole story – you can find the posts I’ve done in the past in the right side bar – all posts are linked up on that page, including this one. So Hannah is 11 (12 in February) and she made an adult decision. The night before surgery her doctor called and said he doesn’t think he’ll have to fuse the lower curve BUT she’ll have to wear a brace until skeletal maturity (think years more in a brace that hasn’t helped so far) AND there still may be a good chance that she’ll need surgery at a later date. Well, she decided to have go ahead and have both curves fused and honestly seeing what she’s going through now I know I wouldn’t want her going through it a second time! So we arrived at the hospital at 5:30 a.m. on Friday the 25th. The doctors all came, the nurses all came and eventually they came and got her right on time at 7:30 a.m. After they did that my husband and I went to the cafeteria to get a quick breakfast and then went up to wait, and wait, and wait – did I mention we waited? At a little before 9 a.m. we got the call from the nurse in the surgery that the doctor had started making the incision – no turning back now! The nurse was great even coming to the PICU waiting room in person to check on us, give us an update and see if we needed anything (our daughter, please?). At a little after 2 p.m. we got the call – the doctor had finished closing and she was going back to recovery. Approximately 7 hours without our daughter knowing that someone (even though we trust him) was cutting into her back. There was some issue we were told with closing because of her size – confusing since we were told her size works in her favor. Two hours later we were allowed back to her PICU room and got to see our beautiful, swollen Hannah. Besides the day she was born I was never so happy to see her – even if she couldn’t really talk to me. Hubby stayed for a little while after that and then left to go home to get our other two children from his parent’s house where they stayed the night Thursday. I slept hardly at all and Hannah slept well because of all the medications even though the nurses were coming in every hour to turn her (an excruciating experience) and do vitals and make sure there was no neurological damage – our biggest fear was that she could be paralyzed. We were only supposed to be in one night but due to her developing a plural (sp?) effusion we got to stay another night as the surgical resident had to put in a chest tube – two rounds of lasix didn’t resolved the issue and her oxygen saturation was horrible. She was also given her one unit of blood she donated earlier, on the 2nd day. She lost about a pint and half during surgery and they gave some of that back using cell saver. She started eating and drinking a little on the 2nd day which was great since she hadn’t had anything since 9:30 p.m. on Thursday. Since she still can’t sit up – her first several hours were spent lying completely flat and she still isn’t allowed any pillows. She was vomiting a lot on the first night even with anti-nausea meds. My mom stayed till 2 a.m. our 2nd night so I could sleep which was so wonderful to get a few mostly uninterrupted hours of sleep. I hated that she needed the chest tube but they got out almost approx 500 cc’s of fluid and blood in her chest cavity – that doesn’t account for the samples they took for testing – and her oxygen began improving but the pain is bad and she can’t be turned to her right side. On our 3rd day we got moved to her regular room – the jostling set off a lot of pain so the anesthesiologist gave her 2 doses worth of morphine to get her through the night and they did. She and I both slept well as this floor is a bit more quiet even though the nurses and respiratory therapists are in and out all night. She still needs turned every couple hours to keep bed sores and such at bay and so they check her incision and epidural. Thankfully the surgery stopped at L3 as the doctor was worried he might have to fuse L4 which would have been bad for mobility. So far we’ve gotten good care and most everyone has been wonderful in making her comfortable – the only exception being that the one anesthesiologist isn’t the most patient and he talks fast so when I didn’t hear his question he waved me off and walked out of the room! Antioch Live, the worship band for Antioch Community Church in Waco, Texas, has signed with the new record label Clear Day Worship. As the music arm of Clear Day Media Group based in Waco, Texas, Clear Day Worship and Antioch Live debuted the new album OUR GOD COMES at the World Mandate Conference September 20 and the CD hit #2 on iTunes. “World Mandate 2013 was the perfect venue for launching this new CD. Everyday people were united by a passion for Jesus with a desire to worship God and change the world. That is what we are about,” states Clear Day Media Group president, David Seibert. 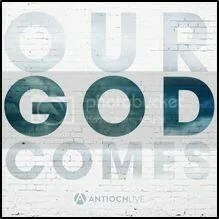 “OUR GOD COMES is a passionate and thrilling worship release captured at Antioch Community Church in Waco, TX. We look forward to seeing how God uses this worship music to bless the Church.” continues Seibert. Antioch is home to a worldwide church planting and worship movement, ministering to the needs of thousands internationally. Antioch Community Church currently has 30 church plants in the United States and another 40 in other parts of the world with more than 30,000 people involved with the movement. Antioch Live’s “Forever Sound” CD released last year was #3 on iTunes. The worship music and lyrics on OUR GOD COMES expresses the heart cry, prayers and joy of the worship team, songwriters and musicians from Antioch, led by James Mark Gulley. From the opening strains of audience approval, joyous praise and worship floods the listeners’ ears and ageless unchanging truths find a new sound for today! The savvy musical arrangements and gifted song writing flow from “Come” to “Our God Comes”, and the glorious experience is documented from the choruses of “Wonderful Counselor”, “How Much More” and “Savior Forever”. Clear Day Media Groupcreates products to help people see God clearly and impact the world through Christ-centered content. The 72-minute, live recording was produced by James Mark Gulley and assistant Owen Wible, recorded by Randy Adams and mastered at Marcussen Mastering in Hollywood, CA by Stephen Marcussen. Featuring songwriters James Mark Gulley, Stephen Gulley, Brandon Seibert, Thomas Wilson and Johanna Six, OUR GOD COMES also features worship leaders James Mark Gulley, Stephen Gulley, Johanna Six and Clare Berlinsky. You can find more information and how to purchase on Clear Day Media’s website. I have to say that I really enjoyed this CD – I played it in the vehicle and all my children were singing along almost instantly with it even though most of the songs were new to us all. Most of the songs were quiet so perfect for worship as the title indicates – that really just puts you into the mood to just worship the Lord with some great music and lyrics as you come before His presence. I wish I had brought it with me to the hospital to listen too so I could have some great worship music as my daughter and I face long hours of waiting. The instruments do not overpower the vocalists and add a lot to the worship experience. So if you’re looking for a new worship CD then I have to recommend Our God Comes to add to your music collection. It’s full of beautiful lyrics that makes one feel closer to the Lord and the music complements it perfectly. Jerry Eicher’s bestselling Amish fiction (more than 210,000 in combined sales) includes The Adams County Trilogy, the Hannah’s Heart books, and the Little Valley Series. 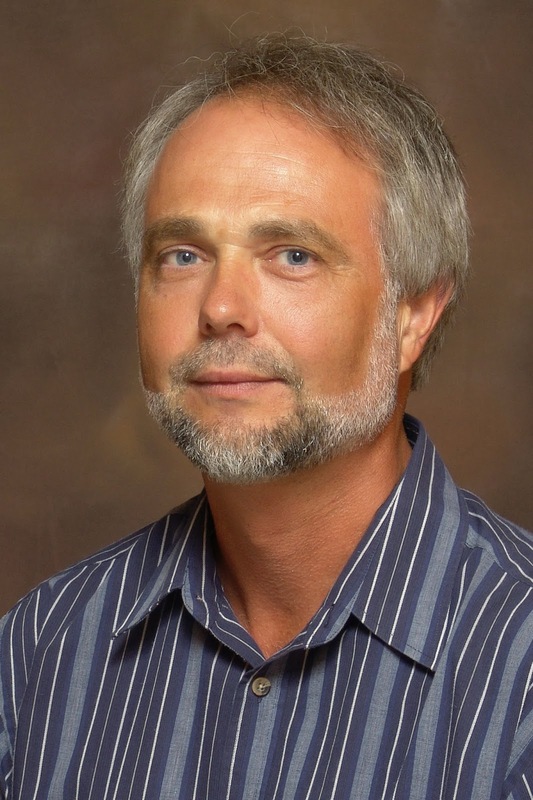 After a traditional Amish childhood, Jerry taught for two terms in Amish and Mennonite schools in Ohio and Illinois. Since then he’s been involved in church renewal, preaching, and teaching Bible studies. 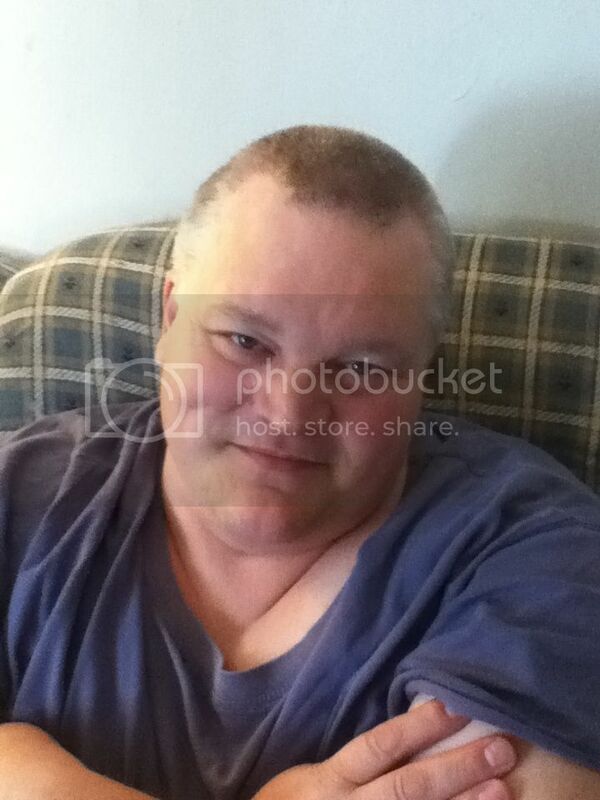 Jerry lives with his wife, Tina, and their four children in Virginia. In book 3 of author Jerry Eicher’s Emma Raber’s Daughter series, Katie puts her life together after Ben Stoll’s betrayal of her love. When she is baptized into the church, she receives a surprising offer that will keep her close to her Amish community—much to her mother’s delight. Katie Raber sat on the tall, swivel chair with a smile on her face. She was now mistress and queen of this one-room Amish schoolhouse for the term. Her hiring had been reaffirmed this morning by Enos Kuntz himself, the chairman of the school board. Enos had paid her a special visit, leaving with a friendly nod and a quick comment. “I think you’ll do just fine with your new job, Katie. Let us know if you have any problems.”Katie swept the top of her teacher’s desk clean with a shaky hand, pausing to replace the small plastic pencil holder she’d knocked over. On the other side of the room, pushed up against the window, sat a table loaded with the year’s supply of schoolbooks. She was a little scared, but she told herself there was nothing to worry about. This world of learning called her, just as she was certain it would also beckon eager young students once school began next week. And then, in less than two months, she would be twenty-one, considered an adult in her Amish community. Her wages would be her own to spend how she chose instead of sharing them with her parents—Mamm and her new husband, Jesse Mast. How blessed Katie felt. It was still hard to comprehend all the changes that had occurred in the last few years.Katie stood and looked out the window. Enos was driving away in his buggy, his bearded face still visible through the open door. Calm was flooding over Katie now. There could be only one reason he would take the time to drive all the way over here this morning, the week before school officially begins. And it wasn’t because he harbored any doubts about her teaching abilities. The vote to hire her had been unanimous and given with pleased smiles on the faces of all three school board members. No, Enos had stopped by to emphasize his approval one last time. Likely he thought she needed it—this being her first year teaching. But it was more than that. Enos knew the details of her past, as did all the Amish community. And they wished her well as she continued to put her life back together after the awful situation with Ben Stoll. Even now Ben was sitting in jail, serving out the last few days of his sentence. Katie had survived that disastrous time because Da Hah had been with her, just as He’d been with Mamm and her after Katie’s daett died. 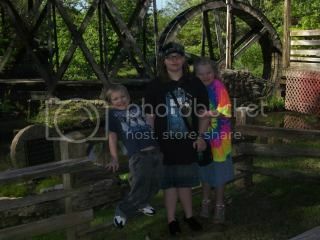 And just as Da Hah had been with the two while Emma Raber raised Katie alone. Katie’s mamm had an awful reputation for a long time. After a love gone wrong in her teen years, a marriage to a man she learned to love, and then being widowed at an early age, Emma had chosen to remain a single mamm, raising her daughter on the land her husband had left her. She’d gone against usual Amish practice by refusing offers of marriage until, by Da Hah’s grace, she’d accepted a marriage proposal by a local farmer named Jesse Mast. That marriage had created a new atmosphere of change and acceptance, and Katie’s reputation had improved along with her mamm’s. After Katie fell in love with Ben and he’d turned out to be involved in the drug trade, part of her acceptance in the community came from how much she was admired for the way she’d handled herself since Ben Stoll’s arrest and imprisonment. She’d loved Ben with all of her heart. And he had broken and smashed her trust beyond repair. Now he was no longer part of her life. That had all happened over a year ago, when the news of Ben’s arrest had reached Katie while she was in Europe with her Mennonite friends Margaret Kargel, Sharon Watson, and Nancy Keim. Only Da Hah’s healing touch a few days later had kept her from spending years in bitterness and sorrow. The miracle had happened the morning they’d gone up in a cable car high in the Alps to Schilthorn, where she’d seen the mighty works of Da Hah’s hands displayed in the mountain range around her. The tears had flowed freely that morning, washing the deepest pain from her heart. Afterward, she’d returned home and continued mourning her loss for a time, but without the crushing hopelessness that had first gripped her heart. Then last fall she’d made application to join the instruction class to officially join the Amish church, and this spring the wunderbah day had arrived. She’d been baptized by Bishop Jonas Miller himself! She was now a member of the church. If anyone had entertained doubts about her, they’d been answered in how Katie had lived her life the past year. She still stayed in touch with her Mennonite friends Margaret and Sharon, but she saw them infrequently. The invitation to Margaret’s wedding had arrived in the mail yesterday, and Katie would certainly attend. 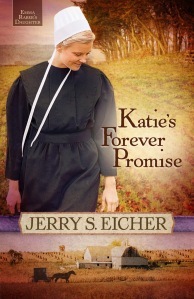 Beyond that, Sharon and Margaret understood that Katie had made the best choice for her—to stay within the Amish faith. And it was, Katie told herself. Her heart was settled on the matter. The Amish were her people, and this was her home. She’d seen the land of the church fathers in Switzerland, and now she’d chosen this faith for herself. This community in Delaware was the place where her heart could rest for whatever time Da Hah had for her on this earth. Enos’s buggy was already a black speck just before disappearing around the curve in the road. In addition to his interest in her success in the classroom, there was the suspicion on Katie’s part that Enos had hopes she would be his next daughter-in-law. She could tell by the light that sprang up in his eyes when he spoke to her of his son Norman. Norman Kuntz, though, wasn’t like his daett at all. He was shy and withdrawn for the most part. The boy was handsome enough and came from an excellent family, so he ought to bubble with confidence, but he didn’t. So far he’d lacked the courage to take Katie home from the Sunday-night hymn singing—although he did spend considerable time stealing glances at her in the meetings. He’d mustered up enough courage lately to send a few tentative smiles her way. There was nothing in Norman that set Katie’s heart pounding so far. Not like Ben Stoll had done. That had been another matter entirely. But Katie knew she shouldn’t be comparing Norman with Ben. Her life had changed for the better now, and she wasn’t going back to the past. Ben had been a terrible misjudgment, and she didn’t plan to repeat the error. This time whoever the man was who drove her home, Katie wanted Mamm’s full support. And hopefully Jesse’s too, although he’d mostly care about whether the young man was a gut church member and knew how to work hard. Norman met both of those standards quite well. It helped, of course, that he would be a gut provider for his family, but that paled in comparison to the really important matter to Katie. Her main concern was that Norman would never do what Ben had done—break her heart. Katie sighed, pushing the dark thoughts aside. Things were coming together well for her. This offer of a teaching job had been another blessing from Da Hah. One of the many she’d been given since Ben’s betrayal. Katie sighed again, allowing her mind to wander into the past. For years she’d dreamed of capturing Ben Stoll’s attention. Mamm had warned her that such handsome boys were above her, and she shouldn’t dream that way. And that was long before Ben even knew Katie existed. But Mamm had been drawing from her own experience of rejection, and the young man she’d loved had never even asked her home. So Katie had rejected Mamm’s counsel and hadn’t drawn back when Ben finally noticed her at a Mennonite Youth Gathering. She’d ridden in Ben’s buggy and held his hand. They’d even kissed—often and with great joy. How could she have been so wrong about him? Katie pondered the question and managed a faint smile. Even in this situation she could be thankful. The pain of that question no longer stung as much. She’d given the pain and hard questions over to Da Hah. He knew the answers, and He would forgive her where she’d been wrong. Now she was being given a wunderbah opportunity by the community. They were entrusting her with the care of their children for a whole school year. This honor had been held by Ruth Troyer for the past few years. After chasing Jesse Mast before he’d married Katie’s mamm, Ruth had finally found a man who asked to wed her—Albert Gingerich. He was an older farmer in the community whose wife had passed away last year. Ruth had stepped down from consideration as a teacher this summer in preparation for her wedding, although she probably hadn’t imagined in her wildest dreams that Katie Raber would be offered her job. Ruth might have hung on for another year if she’d known that. After all, she’d been rebuffed by Jesse in favor of Katie’s mamm, Emma Raber, and the sting of the rejection and community talk surely still rankled in Ruth’s mind. Katie smiled at the memory of Mamm and Jesse’s courtship. The two widows—Emma and Ruth—had faced each other down, and Mamm had won! The strange thing was that Mamm hadn’t put up much of a fight—at least not out in the open. But maybe that was the allure that drew Jesse in. Katie decided she needed to allow that Mamm had more wisdom than she let on at times. Ruth had had all of Jesse’s children on her side at first, and she put her best moves on Jesse by baking the pecan pies he loved. Mamm, on the other hand, had turned down Jesse’s advances the first few times he came calling, which seemed to make him all the more determined. And when she finally came around, Emma offered nothing but herself. In the end, all of Jesse’s children except Mabel, the eldest, had come over to Mamm’s side. Mabel hadn’t been the easiest person to live with after the wedding, but since Katie’s return from Europe they were on decent terms. Mabel’s heart had been softened last year by seeing the great heartache Ben’s betrayal had caused Katie. A rattle of buggy wheels in the schoolyard interrupted her thoughts. Katie walked to the window again. She gasped as Ruth Troyer climbed out of her buggy. What did she want? Had she forgotten some of her personal possessions? If so, she could have come in the evening after I’d gone home, Katie thought. But, there was no sense avoiding Ruth, so she might as well put on a brave front. “Gut morning,” Ruth said with a forced smile when Katie opened the door. “Gut morning,” Katie replied as she held the door and invited Ruth in. “I don’t expect you know what you’re speaking of,” Katie said. She tried to still her pounding heart. How this woman could get under her skin! Enos might hope she’d date his son, but he hadn’t made any requirement or suggestion for her to do so while hiring her. Katie almost sputtered a denial, but she pressed her lips together instead. Nothing would persuade Ruth’s mind. Not once she’d made it up. And there likely was some truth to the woman’s statements. Katie walked toward the table by the window. Two of the books had fallen to the floor while she’d been going through them, but she hadn’t noticed until Ruth’s criticizing presence entered the room. Katie choked back her response. Ruth was trying to goad her into saying something she might regret. And Enos had just been here, and he’d said nothing about books lying on the floor. Everyone knew such things happened during unpacking. But Katie knew Ruth would only see more of Enos’s scheming and favor in his silence, so she might as well keep quiet about that too. Katie held her tongue as she walked outside. She held the bridle of Ruth’s horse as the former teacher climbed inside the buggy. “I hope you remember everything I told you,” Ruth said as she took off with a slap of the reins. Grinding her teeth, Katie watched Ruth go. That woman was the limit and then some. But Ruth was also a creature Da Hah had made, and her elder besides. And the woman had given her some useful advice. I haven’t had the chance to begin this book – will update with review. 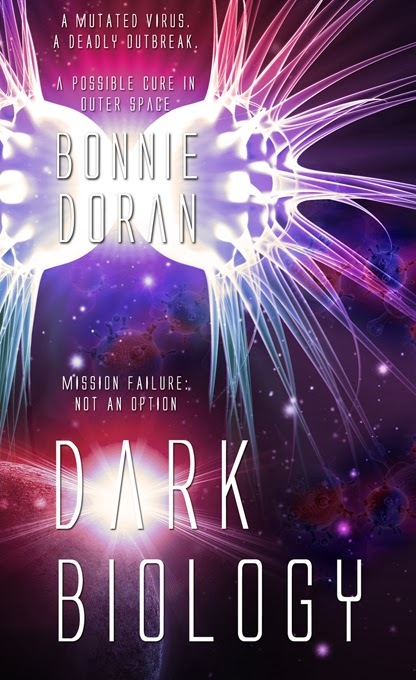 Bonnie Doran’s debut novel, Dark Biology, released October 25th as a science fiction thriller from Harbourlight of Pelican Book Group. Prior to delving into fiction, she wrote and sold over 60 devotionals. She is represented by Steve Hutson of WordWise Media. When she isn’t writing, she enjoys reading (mostly science fiction), cooking, Sudoku puzzles, and hanging out with other writers, sci-fi fans, and Mad Scientists. She has a reputation of telling groan-producing puns and volunteers at the Denver Museum of Nature and Science. She’s been married 29 years to an electrical engineer and Mad Scientist who owns a 2,300-pound electromagnet and plays with lasers for a living. Renowned vaccinologist “Hildi” Hildebrandt has set her sights on beating her brother to a Nobel Prize, and the opportunity to conduct experiments on the International Space Station might just provide the means to obtain that goal. Chet Hildebrandt should have had that opportunity. But now he’ll teach a lesson to them all: his hot-shot astronaut sister, his philandering hypocritical father, and the CDC for not properly appreciating his work. One vial of a virus purloined from the CDC labs and released at his father’s marriage seminar should do the trick, without hurting anybody. After all, it’s only a mild influenza strain…Or is it? Infection Minus Ten MonthsHildi’s nose itched.She ignored it. While she waited for her lab partner to emerge from the airlock, she checked the seals of her blue biocontainment suit again. Good habits could save her life.Hildi pulled a coiled yellow air hose suspended from the ceiling and plugged it into a socket near her waist. The deflated suit expanded as air roared past her face. The familiar ballooning sensation saddened her for a moment. She’d miss her work here. Then she grinned. She’d be wearing a pressure suit in her new job and performing similar cutting-edge work in an even stranger environment. Her practiced eyes appraised Biosafety Level 4, the Centers for Disease Control and Prevention’s most dangerous lab. Everything “down and cold.” But an adjoining room held liquid-nitrogen freezers filled with hot agents, the deadliest diseases known to man. Francine stepped from the airlock. Hildi’s college friend had never worked in Level 4, but she moved with confidence. Hildi stared into Francine’s faceplate and noted her calm expression. She’d do fine. Hildi maneuvered past the stainless-steel tables dominating the room. She pulled two-inch test tubes, a push-button micropipette, and other tools from drawers and placed them in the biosafety cabinet, a glorified box with a fume hood and clear front that rested on the work counter. She detached her hose, inhaling the reserved air in her suit. Humming to herself, she walked into the adjoining room and attached her suit to another hose. Every time Hildi moved in the lab, she repeated the procedure, a necessary inconvenience if she wanted to continue breathing. She punched a code into the lock of one of the stainless-steel freezers and extracted a vial of the latest X virus that may or may not have killed John Doe. Returning to the biosafety hood, she slipped her yellow-gloved hands under the clear protective shield, a sneeze guard at a toxic salad bar. She withdrew a tiny sample of the unknown and released it into one of the tubes. After Hildi repeated the protocol many times, she keyed the information into the computer. Hildi glanced at Francine just as she straightened from a hunched position over a microscope. Francine turned, her movements jerky like a marionette’s. Her suit’s chest zipper gaped, exposing her blue scrubs underneath. She seemed to shrink as her biosuit deflated. “I’ve got a problem here!” Francine yelled, her voice quavering. The rush of air in their ears turned conversations in Level 4 into a shouting match. Francine fumbled for the zipper with trembling fingers. Francine’s white-rimmed, dark-chocolate eyes returned to normal. “How bad was that?” Her voice still quavered. Francine gave a nervous chuckle. “Sure gave me the jumpy jitters.” She turned back to the scope. Hildi released the breath she’d been holding. Risk was part of the job. Zippers failed. Gloves failed. Usually it wasn’t life threatening. She placed the rack of tubes in the incubator cabinet, maintainedat the ominous temperature of warm blood, and then returned the original sample of hot agent to the freezer. Her mood descended into a gray chasm. She already missed the challenge of Level 4. But she had a job offer that would take her research to a whole new level. She could smell that Nobel Prize. Her brother Chet would never catch up to her now. Francine chuckled and headed for the airlock. Hildi followed. 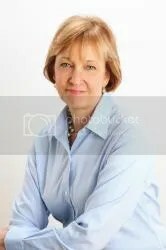 She inhaled the chemical smell as the decontamination shower sprayed disinfectant over her suit. The two of them scrambled out of their blue suits as soon as they reached the changing room. Hildi scratched her tingling nose with ferocity. Francine grinned at her and walked to the regular showers which contained detergent for washing and a bath of ultraviolet light. Hildi stripped and marched naked to the shower. No modesty in this job. Afterward, she tugged on jeans and a mauve T-shirt. Her lab partner’s perfect complexion glistened as she toweled off. Hildi’s pale skin and red curls contrasted with Francine’s coffee coloring and corn-rowed black hair. Not exactly twins separated at birth. “When do you get in to Houston?” Francine pulled on black leggings and a flowered tunic then grabbed her tiny purse. “Around four.” Hildi grimaced. “Rush hour. My favorite time.” She longed for the feel of the afternoon sun on her face, but she wouldn’t enjoy it today. “It’s a fantastic opportunity.” Her spirits bounced like an acrobat on a trampoline. “But it’s not like I won’t be working.” She grunted as she wrenched her holds-anything-and-hides-everything handbag from her locker. They walked through another airlock into a corridor and less-lethal safety levels. The burning, moist smell of giant autoclaves bid a pungent farewell. “You just don’t want to work with Chet.” Hildi baited her friend. “Don’t rub it in.” Francine lowered her voice. “Did you hear? Your brother’s in big trouble.” Francine sounded like she relished the thought. Hildi wheeled her suitcases to the nearest door, her stomach fluttering as if she’d just won the lottery. Maybe she had. Hildi deplaned in Houston after an unremarkable flight. She heaved her suitcases onto their wheels and stepped outside. A tanned man in a polo shirt and jeans held a sign. Dr. Hildebra. Someone hadn’t quite fit her name on the cardboard. Situation normal. Hildi stifled a gasp and flung her star-struck feelings aside as she wiped sweaty palms on her jeans. Larry’s exploits in space were the stuff of legend. She shook his hand. He loaded her luggage into the trunk of his silver Jaguar convertible. More diesel exhaust assaulted Hildi as they headed south on I-45. She’d expected oil fields and cowboy hats when she first came here but instead found apartments, shopping centers, and malls. Same humidity as Atlanta, same traffic. He chatterednonstop. Hildi nearly jolted out of her seat. “Frank?” If she’d known, would she have volunteered for this assignment? She stared at the scenery. Frank? On her team? Scenes flashed in her mind. Their first kiss that had warmed her to her toes. Her growing suspicions. The night she confronted him about his gotta-work-late excuses, and he confessed his affairs. Trampled dreams. Lord, I could use a little help here. Larry must have sensed her mood. He didn’t say a word for the rest of the trip. “Hildi.” Dan stepped toward her with an eager grin, glanced at Larry, and stopped in mid-stride. “You know him, too?” Larry’s glance bounced back and forth between them like a hyperactive tennis ball. Hildi laughed, relieved he didn’t ask any more questions. Her stomach rumbled in response. “Perry’s Steakhouse?” Larry still eyed them with suspicion. I regret that it’s taken me so long to read and update this tour with a review because this book was fantastic! It was suspenseful and also filled with faith which can sometimes be hard to do for some writers but Bonnie pulled it off with great success! Hildi and Chet are brother and sister, one is estranged from the family and the other finds great success in their personal life and their career – much to the chagrin of the other. Hildi takes on a new position with NASA but Chet wanted the position so sets the stage for a sibling rivalry that will go horribly wrong – and I know a thing or two about sibling rivalries. It’s hard to write a review about this type of book because I’m always afraid of giving away too much of the story and then it makes it pointless for you to read it. I so wanted to hate Chet, like the human condition, but then I saw him through his family’s eyes as well as how Christ sees a repentant person – with grace and mercy. Even though it’s a science fiction, it may have some truth in it with regards to a pandemic and needing a cure so that people can live through it, and that is what intrigued me. It doesn’t get bogged down with all the science terms and such and for that I’m very grateful – but it gives enough detail that both the lay person and the scientific will more than likely enjoy this fast paced book that will keep you on the edge of your seat. 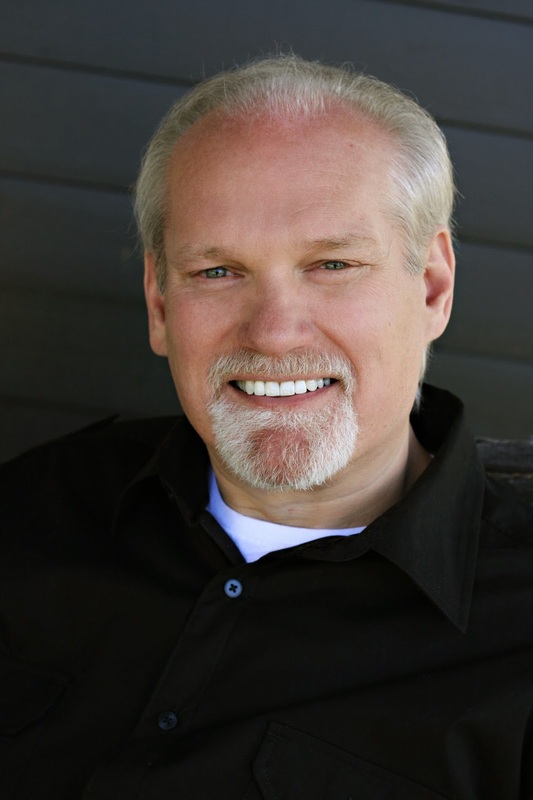 Jerry B. Jenkins is a New York Times best-selling novelist (Left Behind Series) and biographer (Billy Graham, Hank Aaron, Walter Payton, Orel Hershiser, Nolan Ryan, Joe Gibbs and many more), with over 70 million books sold. His writing has appeared in Time, Reader’s Digest, Parade, Guideposts, and he has been featured on the cover of Newsweek. Tor nT E x ASW EDNESDAy, M Ay 7“call now. desper8.”The text appeared on Dr. Augie Knox’s phone at 8:55 a.m., seconds before he was to turn it off—protocol for profs entering a classroom at Arlington Theological Seminary. Augie could have fired off a “give me a minute,” but the message was not signed and the sending number matched nothing in his contacts. The prefix 011-39-06 meant Rome. He’d traveled extensively in his thirty-eight years and enjoyed many visits to the Eternal City, but such a text could easily portend one of those I’ve-been-mugged-and-need- money scams. Whatever this was could wait until he got the Systematic Theology final exam started and could step into the hall with his phone. Many students chuckled, having sat under the elder Dr. Knox before he fell ill the year before. “It also says you were adopted. Sorry, but it’s published.” “No secret,” Augie said. “He’s only mentioned that mystery every class,” another said. phone.The plea from Rome had already dropped to third on his message list. At the top was a voice mail from Dr. Moore, who had been filling in as acting department chair since Augie’s father had been hospitalized with a stroke. Augie would have checked that one first, but next was a voice mail from Sofia Trikoupis, his heart. It was eight hours later in Athens, after five in the afternoon. “Call me at the end of your day,” her message said. “I’ll wait up.” It would be midnight her time by then, but she apparently needed his undivided attention. That would bug him all day. How he longed for them to be together. Few people had been more important in Augie’s life than Roger Michaels, the diminutive fifty-year-old South African with a James Earl Jones voice and a gray beard that seemed to double the size of his pale, gnomish face. Augie would never lead a tour of an ancient city without Roger as the guide. well, away from the windows and the relentless sun forecasters were saying would push the temperature at least twenty degrees above normal by 2:00 p.m., threatening the 107° record for the month. Augie wasn’t getting enough signal strength to complete his call, so he hurried back out to the corridor. Cell coverage was still weak, so he stepped outside. It had to be near 90° already. Scalp burning, he listened as the number rang and rang. ing, then ventured out to try again. He waited two minutes, tried once more, and felt he had to get back to class. On a third attempt, as he neared the entrance, it was clear someone had picked up a receiver and hung up. Augie dialed twice more as he walked back to take over for Dr. Moore. Just before he reached the class- room, his phone came alive again with a text. Augie couldn’t make it compute. Had his phone been traced? Tapped? If he got a new one, how would Roger know how to reach him? Dr. Moore stood just inside the classroom door and emerged imme- diately when he saw Augie. “Talk to your mother?” he said. Augie reached for his cell again, but hesitated. If he used it, would he be exposing his mother’s phone too? It was all Augie could do to sit still till the end of class. Before get- ting back to Dr. Moore, he dropped off the stack of blue books in his own office and used the landline to call his contact at Dallas Theolog- ical Seminary, just up the road. Arlington Sem sat equidistant between DTS to the east and the massive Southwestern Baptist Seminary to the west. Arlington was like the stepchild no one ever talked about, a single building for a couple of hundred students, struggling to stay alive in the shadows of those two renowned institutions.When Augie needed some- thing fast, he was more likely to get it from the competition. Such as a new phone. Arlington. No auxiliary staff handled logistics as they did at DTS and Southwestern. The head techie at Dallas was Biff Dyer, a string bean of a man a few years older than Augie with an Adam’s apple that could apply for statehood. He could always be counted on to program Augie’s phone, depending on what country he was traveling to. boss back to his father’s old office. It wasn’t that much bigger than his, but at least the guest chair didn’t block the door. “Would you start with my dad?” Augie said as he sat. Why Les felt it necessary to pencil the figure on the back of a business card and dramatically slide it across the desk, Augie could not fathom. Augie reached for his pen and signaled with his fingers for the doc- ument. he was merely a seminary prof because that was what his father wanted for him. Back in his own office, Augie popped the chip out of his cell phone and put it in a separate pocket. He called his mother from his desk phone to assure her he would see her at the hospital late in the afternoon, then called Biff to tell him he would try to stop by DTS on his way. “What’s the big emergency?” Biff said. During his 11:00 a.m. final Augie was summoned to the administra- tive offices for an emergency call. On the way he stopped by to see if Les would stand in for him again, but his office was dark.The final would just have to be unsupervised for a few minutes. “Do you know who’s calling?” he said to the girl who had fetched him. If it was his mother . . .
“He gave me a new number and needs you to call right now, but not from your cell.” She read it to him. I’ve enjoyed other of Jerry B. Jenkins books before, namely the Left Behind series, and this one is no different it was a wonderful read that was quick but very much enjoyable, of course I’ve had time to do a lot of reading since I’m in the hospital with my daughter. I enjoyed how he wove a modern time mystery together with something that happened in “Bible times” – it couldn’t have been easy, but it was so great to see the the two time periods woven together as Saul’s story comes to life and those who seek to make money off the historical and religious document. Of course it’s a work of fiction but it is neat to think that Saul/Paul could have written his testimony out and hidden it someone that is yet to be discovered and there are those, today, who would seek to destroy it or make a quick buck off the priceless writing. If you enjoy a modern mystery but also enjoy a great Christian historical fiction story then this book will have you in it’s grips – I enjoyed reading Saul’s story from young boyhood to the time when he began actively persecuting Christians, because even it it’s fictional, there is still maybe some non-fiction to it and it also spoke to my heart to read in a modern way about Saul’s conversion. 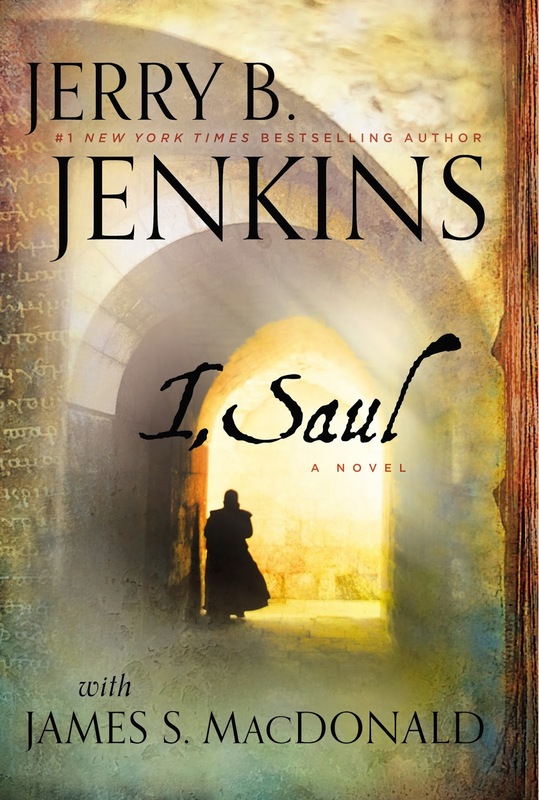 I’m looking forward to the next book in the series, I, Paul, which comes out in 2014 and should prove to be just as an exciting read as I, Saul is. After decades of exile, the prophesies are coming true–King Cyrus has declared the Jews may return to Jerusalem. Iddo, a priest, is sure this is a sign of God’s renewed favor. For too long they’ve remained in Babylon, and many, including Iddo’s sons, are losing the faith that sets them apart. And so only a few choose to leave everything to return–return to their home and their God. Nothing about their journey to the Promised Land is easy. As hardships mount, even the faithful, like Iddo’s beloved wife, Dinah, question the sacrifice of following God’s leading. Zechariah, Iddo’s oldest grandson, feels torn between his grandfather’s ancient beliefs and the family they left behind. But one life-changing encounter with the Holy One gives him insight that will change Zechariah–and history–forever. You may purchase a copy of the book on Amazon. You can learn more about Lynn on her website. I’ll preface this review with a disclaimer that I’m only about 1/2 through the entire book but I want to get this up during the tour schedule so I’m going to tell you what I’ve thought so far. I will say that writing a Biblical historical fiction book takes a lot of time and patience as one doesn’t want to re-write the history but yet to make the Biblical history more relevant to today one must somewhat expand using what we know today happened in the time before and weaving those two elements together requires a great amount of care so as not to take away or add to the Holy Scriptures. 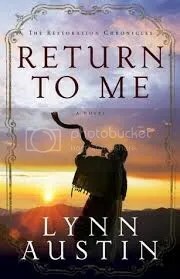 I’ve read others of Lynn Austin’s books and they never fail to pull me into the story line and it is the same with this book, Return to Me – I felt pulled into the characters lives from the first page. The reason it’s taking me so long to read through the book, isn’t because it’s terrible, but because it’s so good and I’ve had little free time on my hands this week and at 464 pages it’s a bigger book than I’ve been reading lately. One character Yael, who is a 10 year old girl, whose mom died before the Jews are freed from their exile/slavery in Babylon and both of who have been secretly studying and worshiping false gods – is driving me a little batty – because she acts just like most 10 year old act, thinking they know everything about everything including whether to worship a false god and mess with sorcery. However, I know there is going to be something that happens in this child’s life to bring her back to the religion of her people – but as one reads one figures out that she and her father cannot have one foot in the Jewish religion and one foot in the Babylonian/Samaritan religions and follow the Lord. I would highly recommend this book to those who enjoy Biblical and historical fiction – as I’ve said above Lynn takes great care to not detract from the real history of the Jewish people as they seek to rebuild the Temple and Jerusalem and she also does a wonderful job in showing the hardships they faced upon their return to their homeland with those who stayed behind and the other cultures that surround them. Struggling to follow what the Lord wants, Iddo, makes others around him uncomfortable and even Dinah wonders if she loves or hates her husband and misses the family and friends who stayed behind in Babylonia. Overall, so far, this has been an excellent read and a real page turner and one that I would feel safe about turning over to my oldest daughter to read. You can read what others had to say by visiting the Litfuse Landing Page. Enter today by clicking one of the icons below. But hurry, the giveaway ends on October 22nd. Winner will be announced at the “Return To Me” Facebook Author Chat Party on October 22nd. 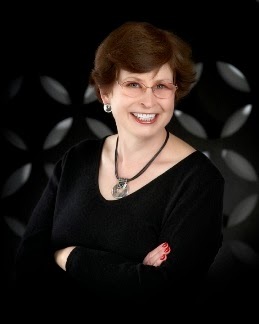 Connect with Lynn and friends for an evening of book chat, biblical trivia, prizes, and get an exclusive look at the next book in Lynn’s Restoration Chronicles series! Don’t miss a moment of the fun; RSVP today by clicking JOIN at the event page. Spread the word — tell your friends about the giveaway and party via FACEBOOK or TWITTER. Hope to see you on the 22nd! I’ve noticed that WordPress has been adding advertisements to my blog, my blog is free, so in order to support that they have highlighted random words in orange – please know I have no control over these advertisements – my hyperlinks are usually in blue NOT orange and double underlined. Thank you for understanding. At this time I don’t plan to pay $30 a year for an ad-free blog. Please scroll down to read the most recent post – this is a sticky post. Hope is a chicken who lives in the woods with friends not typically affiliated with chickens. She is happy there, until she finds herself with an egg. She has no place to rest the egg and is in search of help. A guardian red bird leads her to a chicken house full of chicken families. There she finds challenges and fear, ultimately leading to the most precious gift she could ever hope for. 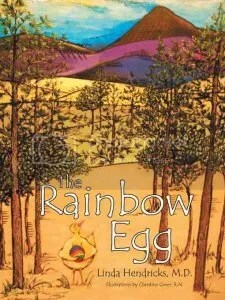 The Rainbow Egg is a colorfully illustrated, fresh look at adoption as a loving gift. The book can be purchased from WestBow Press (e-book or print) and from Amazon. I thought this was a really cute book just choosing from the cover of it and occasionally I enjoy reviewing books that are for my children and as it deals with adoption and they have a couple of friends who are adopted I thought it would be a great way to talk about it with them. Hope is a chicken who is alone in the forest and has no nest and she knows there is a chicken house nearby (never mind that chickens lay eggs without a male, but I digress) and she wants her egg to have a nest and she knows she’ll never have one so she sets out to find a home for her rainbow egg. She finds a couple who has been unable to have an egg of their own so their nest remains empty – it just so happens they are rainbow feathered chickens – so the baby will grow to look like them. I like the overall theme of the adoption, and the love that goes from both sides – the birth parent to want what is best for their baby and the adoptive parents who have struggled, unsuccessfully, to have their own. However, even my 9 year old wanted to know why Hope had a rainbow egg if she wasn’t a rainbow chicken (all the other chickens have feathers that match their eggs). I didn’t have an answer for her, but as I think about it – it is strange – most adoptive families do not adopt children who will look like them. I know American families who adopt Asian children, Mexican children and so on – so their children don’t look like them at all. Before Hope leaves she says “He will always be special and will grow up to have rainbow feathers just like you…” – to me, this gives the impression that children adopted will look like their adoptive parents when, in most, cases that isn’t what happens. A cute book that I would suggest is bought as a physical book as the e-book version was quite hard to read at times and the illustrations would have been prettier in a physical copy. Overall, the book was a great, short read on introducing the topic of adoption to children but as you can see even one of my children thought it odd that the baby was meant to look like it’s adoptive parents. A good introduction but definitely not the final say so about adoption and there wasn’t any mention of God or Jesus (of course they’re animals, I know) except a little red bird who sang and directed their paths.